Last summer, J and I started noticing a clearing of the land on a pretty large area near Michigan Avenue and US-131 in Oshtemo Township. It’s one of those places that we drove by all the time and never actually realized how big it was or what was even back in the trees. Apparently, there were quite a few abandoned house on this prime piece of real estate that were bought and leveled for a new shopping area. Both of us were pretty excited once we learned the anchor for this new area was going to be a Costco Warehouse. Neither of us had ever been in a Costco, but we both have friends that rave about the place. My family shopped at Sam’s Club all the time when I was in high school, so I was a little skeptical at first that it was really going to be worth our time, but not too long after it opened, I knew the membership was going to be worth it. We’ve been there several times since the wharehouse opened just before Thanksgiving. There are so many great things about it that I could rave for hours, but this blog isn’t about the wharehouse itself. It’s out the small food counter just past the cash registers that we have to stop at every time we shop. One of the first things we were told about Costco is how amazing their pizza is. Apparently, Costco is one of the largest pizza chains in the country which is kind of hard to believe, but that’s what so many articles on the world-y tubes tell me. 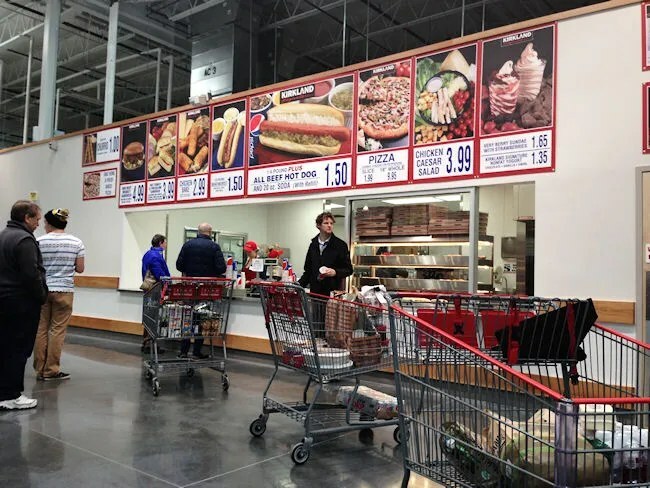 Every Costco has a small food court as part of the store. The food court is known for a couple things. Cheap and delicious food. The hot dogs and pizza are the two big items, but they have a handful of other things as well. L can’t go to Costco without getting a smoothie, so it’s pretty standard ops for us to pick up a small berry smoothie. J usually gets a churro as well, but on the specific trip that this blog is based on, J wasn’t with us, so there was no churro. 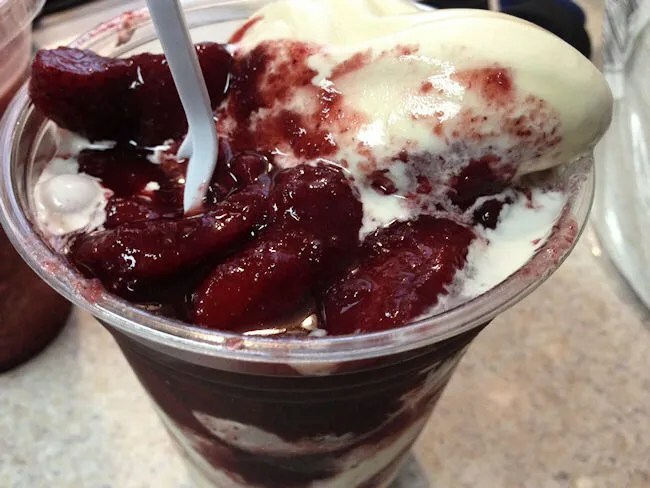 Instead, in addition to the usual smoothie, I picked up two slices of pepperoni pizza and a Very Berry Sundae that comes with strawberries. The price for all of it was just a little over $5. The amazing thing about Costco’s food is just how cheap it is. Pizza slices are two bucks each and the famous hot dogs are $1.50 and those come with a 20 oz. fountain pop. I grabbed all of the food and stacked it neatly in the car except for the smoothie which I gave to L right away. J was at home waiting for us and the second slice of pizza was for L. That’s not really something I wanted her to eat in her car seat, so waiting until we got home was the best idea. The pizza was pretty tasty, but it’s not the best pizza I’ve ever eaten. For the type of pizza it is, it’s actually really good. 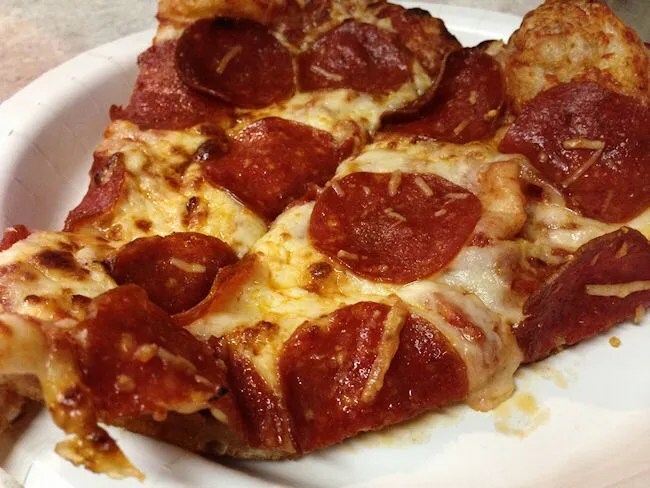 The slices are really large and the crust is very soft and chewy. The sauce is actually what I think makes this slice of pizza stand out. It’s liberally spiced and just a little sweet. 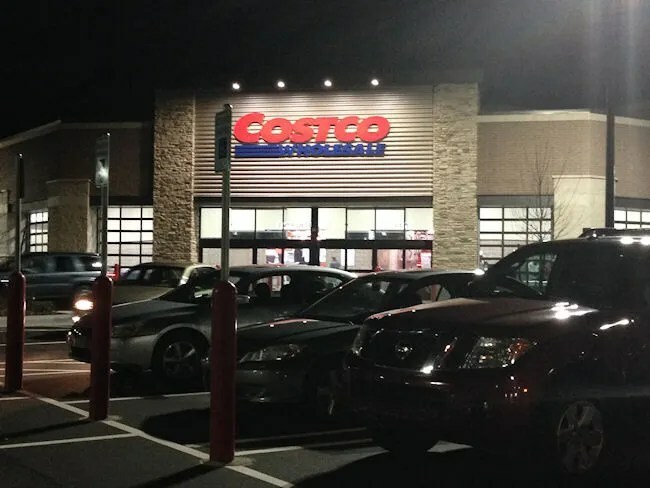 Costco has been a great addition to Oshtemo Township and the food court has been a great place for us to pick up a quick dinner after dropping more money than we wanted to at the warehouse. They actually do take call-in orders for the pizza if you want to pick up a whole pie plus, they have them as take-n-bakes in the frozen food section near the back of the store. 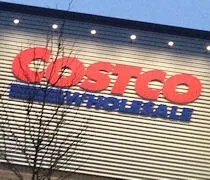 So much has already been said about Costco’s food that all I can do is echo it. The food is delicious and, maybe even more importantly, it’s way underpriced. You can walk out with a really good meal and not break your wallet doing so.